The building dates back to the early 13th century and was the site of a family run blacksmith until the 1950s. L’Enclume has retained many of the building’s original features, including the blacksmith’s furnaces, exposed ceiling beams, and thick stone walls. A magical Cumbrian hideaway. 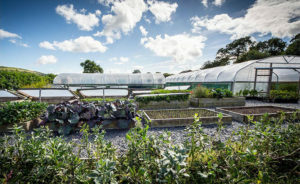 Simon Rogan's iconic riverside restaurant, where passion and creativity showcase the finest home-grown, hand-picked ingredients and harness the powerful connection between food and nature. Rooms full of charm and character. The perfect end to the perfect meal. a stay in one of our elegant rooms. 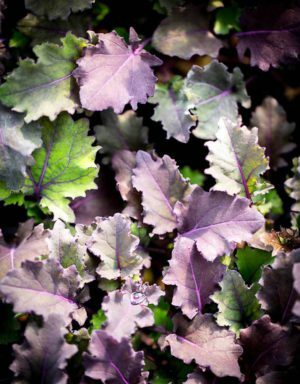 Our chef’s table and development kitchen offers a first-look at selected dishes that will feature on the menu; a glimpse into the magic behind the scenes, where a deep respect for nature and the wild meets cutting edge technique, imagination and passion. 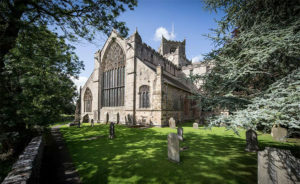 Cartmel’s famous 12th century medieval Priory Church is not to be missed. Founded in 1190, it has been a place of worship for over 800 years. Opened by local brothers in 2012, the microbrewery features a plant, tasting room and public bar. Their beers are now stocked at both L’Enclume and Rogan & Co.
Boasting an amazing variety of British, Irish and French cheeses (including those that feature on the L’Enclume cheeseboard), this is the perfect place to stock up. On the third Friday of every month, this food market offers a great selection of the best Cumbrian produce. A fine selection of artisanal, hand-made breads baked using traditional techniques. 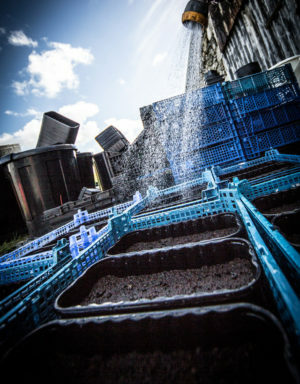 Our 12-acre farm near Cartmel, supplying vegetables, herbs, fruits and flowers to all of our restaurants. 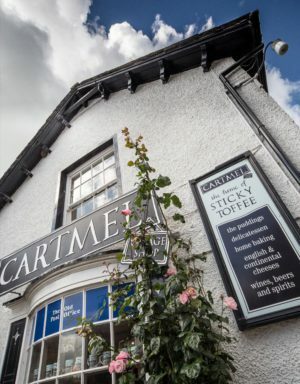 Home to the famous Cartmel Sticky Toffee Pudding, this popular shop also has a deli stocking cheeses, prepared meals, and a range of sweet and savoury treats. This award winning coffee shop also serve a range of teas and fresh baked goods from their cozy shop in Cartmel’s Square. With a 150-year history, the Cartmel Racecourse has a calendar of seven race days in the village between May and August. 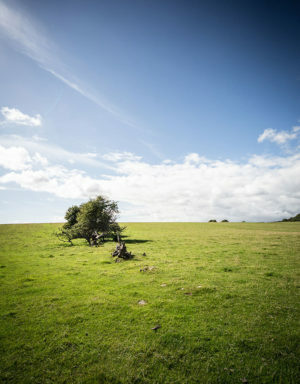 Enjoy the tranquility of the unspoilt Cumbrian countryside. Please ask for information about local walking trails.